Warrington Hospital focuses on emergency and specialist care and has all the back up services required to treat patients with a range of complex medical and surgical conditions. Many new departments and facilities have opened at the hospital over the last few years and it provides a full range of expert inpatient and outpatient services. 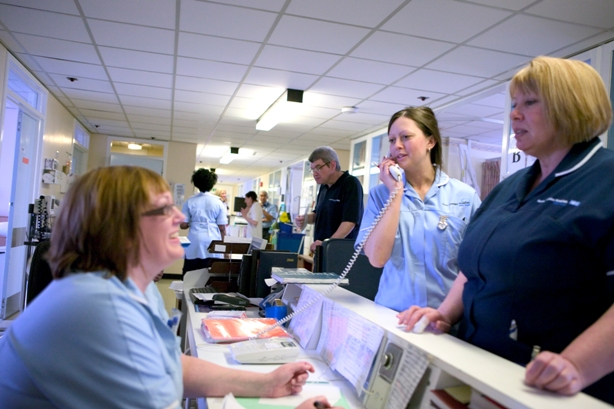 Warrington Hospital is home to our accident and emergency department and maternity services. If your surgery or care might require extra support or a high level of specialist care it is likely to be carried out at Warrington. The hospital is also home to specialist critical care, stroke, cardiac and surgical units. Kendrick Wing - is home to ophthalmology, breast screening and our cardio-respiratory unit. Our site plan has a detailed map showing department locations. Accident and Emergency, surgical services, general medicine, children's services (paediatrics), cardiac care, stroke care, cancer care, elderly care, obstetrics (maternity), gynaecology, neonates, orthopaedic trauma, ophthalmology, critical care and ophthalmology. Occupational therapy, pathology, physiotherapy, pharmacy, dietetics, outpatient services, diagnostic services, radiology and a range of specialist nursing services. Infection rates have reduced by over 90 percent at the hospital since 2007. A&E - We have invested around £2 million in redesigning our A&E to create more capacity, increasing staffing levels and providing a full acute medical unit for emergency admissions to the hospital. A hospital has been located on the current Warrington Hospital site since the late 1800s. There were actually three separate hospitals on the site then - Warrington General (opened 1898 and originally the Union Workhouse), Aikin Street (mainly for infectious diseases) and Whitecross (military) Hospital. The only remaining part of the original Warrington General is the Kendrick Wing which is now home to the breast screening unit, ophthalmology and trust administration block. The remaining section of the North Lodge building (where the sewing room and offices are based) at the back of the site was part of the Whitecross Hospital. There was also a separate hospital - Warrington Infirmary - located where the Crown Court is now, near Golden Square Shopping Centre. In 1929 Warrington General was renamed the Warrington Borough Hospital which is why many older residents of the town still call it the Borough. In 1973, plans combining the hospitals of Warrington in a new look Warrington District General on the site was approved. Aikin Street was demolished in the 1970s to make way for the Appleton Wing of the current hospital (where the A&E, medical wards and theatres are) which was phase A of the new General. Burtonwood Wing opened in 1988 with the stroke, elderly care and children's wards. The main building of Whitecross Hospital was demolished in the late 1980s to make way for the Croft Wing (maternity and women's services) which opened in 1994. Daresbury wing opened in 1998. So the A, B, C and D phases of the hospital in date order are A for Appleton, B for Burtonwood, C for Croft and D for Daresbury. Since then there have been a number of changes to the hospital with all wards and departments being revamped. The new A&E unit was built in the mid 2000s, followed by new intensive care facilities in 2008. 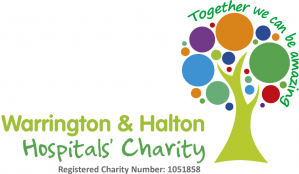 The hospital is easily accessible, located to the north of Warrington town centre which is close to the M6, M62 and M56 motorways. It is well served by local public transport networks and our free hospital shuttle bus between our hospital sites. Our postcode is WA5 1QG. Our A-Z service catalogue with detailed information on specialties.